The state of the PC industry was summed up this week in an internal meeting at Microsoft, where it was revealed that the Nokia Lumia 520 is the biggest selling Windows device on the market at the moment. The budget-friendly smartphone, according to Softpedia, is the most popular Windows device going, with its sales outgrowing that of any other Windows-based tablet, PC or laptop. 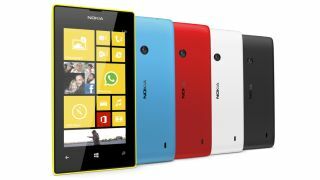 Although there were no official figures stated in the meeting, given the amount of advertising spend on Microsoft Surface and Windows 8, it is interesting to see a cheap phone surpass Microsoft's own hardware and software offerings – although the low cost will definitely have a factor towards the Lumia 520's popularity. It will also give Microsoft some peace of mind that its buyout of Nokia should reap dividends for the company – a company that gave outgoing CEO Steve Ballmer the 'time of his life'.